The weather in Yellowstone over the last week has not been particularly enjoyable, but the wildlife viewing has been exciting. There were at least two bison carcasses in the Hayden Valley that attracted multiple grizzly bears. I felt privileged to watch the cycle of life exhibited at one of these locations. When the bear was no longer visible from the road, I decided to head back up to the carcass in case that was where the grizzly was headed. When I got there, some visitors told me they could see a bear nearby. I climbed the ridge and could see a different grizzly not too far off. It was digging for roots and grubs, apparently still unaware of the nearby meal. The winds then shifted a bit, and began blowing from the carcass toward the bear. 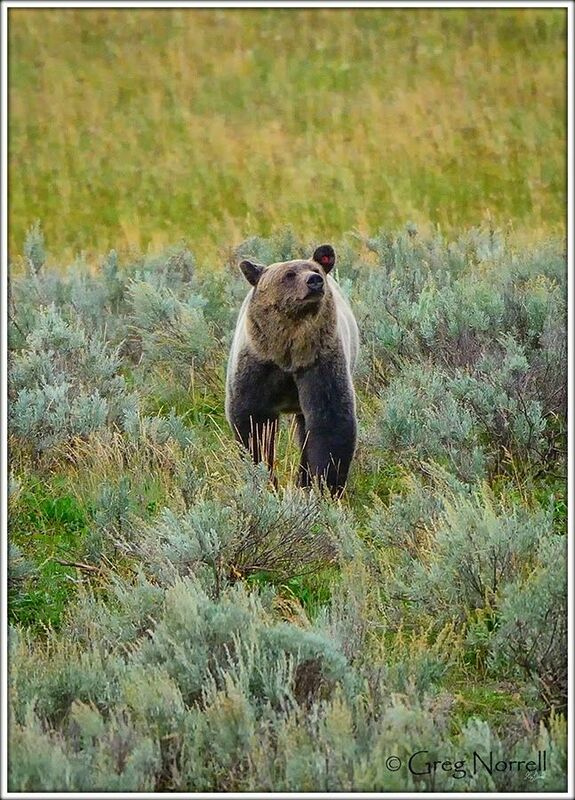 It didn’t take long for the grizzly to have his nose in the air sniffing. This shot is when he realized what was close by. 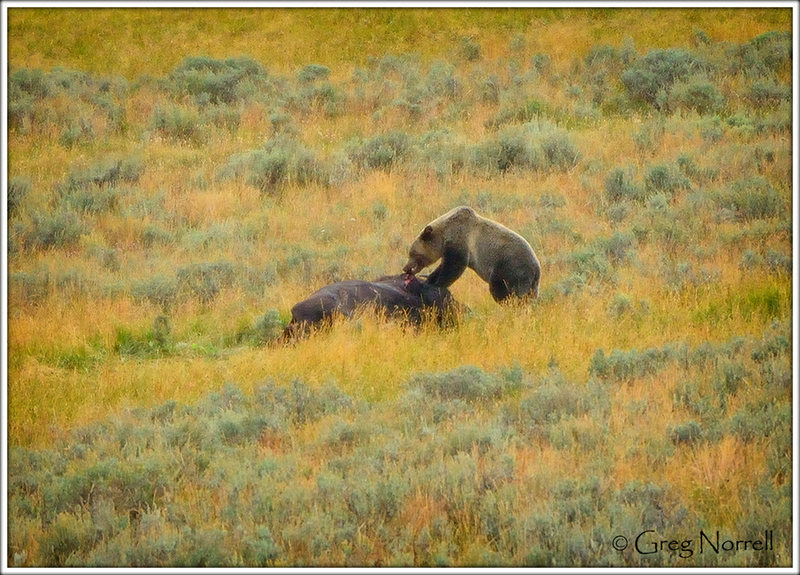 Since the other visitors and I were between the grizzly and the carcass. I urged everyone to go down to the road to allow the bear to get through. Then we went up the nearby hill and had an opportunity to watch as the feasting began and the day ended.